Whether you are a familiar face in our congregation, or are worshiping with us on Shabbat for the first time, our goal as a community is to create a warm and welcoming environment as well as a place where we foster a loving sense of connection to our tradition. The siddur (prayer book) used at Congregation Lev Shalom is Mishkan T’filah, the official siddur of the reform movement. 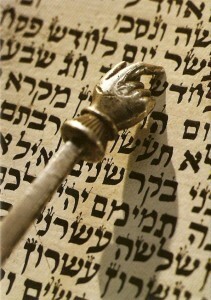 All prayers include transliteration so those who do not read Hebrew can join in our prayers. All are encouraged to participate. All are welcome to join us as we celebrate Shabbat during the following services. Join us in a joyful service welcoming Shabbat. With prayer, music and friendship we celebrate our inclusive community and tradition. Services are both lay- and Rabbi-led. Services often feature our Cantorial Soloist, Lynne Nemeth and Guitarist, Judge Howard Grodman. See calendar page for service schedule as Kabbalat Shabbat services do not take place every week. An oneg with light refreshments follows services. Our Shacharit (morning) services, taking place at 10am, can be led by the Rabbi or lay-leader. In our intimate worship experience, Torah is chanted, and discussions of the weekly portion are meaningful and often lively. An oneg with light refreshments follows services. See calendar page for service schedule as Shabbat morning services are not held every weekend.